It’s partly down to the music’s sheen: every Access to Arasaka track has the same kind of futuristic noir atmosphere that permeates Ridley Scott’s Blade Runner. As such, the music displays an array of opposites. Its ultra-modernity is matched by a gritty, even dirty demeanour; the beats in particular are often encrusted with digital grime and squelch such that they sound not so much new as a resurrected manifestation of something potentially much older. 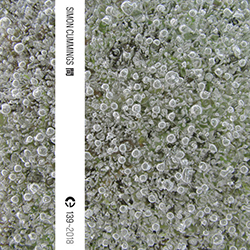 The liveliness of these beat patterns – which, when present, are almost always front and centre – is countered by the way Lioy grounds each track over a drone, resulting in music that inhabits a sharply defined and perhaps delimited environment, within which it remains somewhat tethered in place. 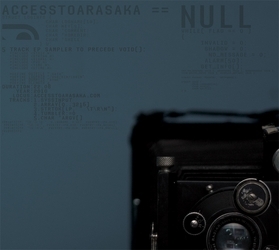 One of the most beguiling opposites that characterises Access to Arasaka is the fanciful sense that, far from being actively composed, these might almost be compositions created by the computers themselves, as if banks of ancient data had begun burbling into life and sought to arrange their contents according to some kind of artificial intelligence. This arises in part from the austerity of Lioy’s aesthetic, which treats its elements of beats and bass with such aloof, monochrome intensity that it becomes almost fetishistic. Another way of putting it might be to say that Access to Arasaka is cold and unemotional, yet of course the way one responds to such music may well be the complete opposite. While some later Access to Arasaka releases were put out as physical editions – by the now-defunct Tympanik Audio – the majority are available as free downloads (unfortunately, mostly in lossy formats – links below). 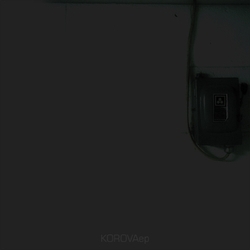 Despite being the earliest, the 12-minute EP Korova from 2006 remains one of his best. In many respects it’s something of a paradigm, three tracks that exemplify everything that would come after. ‘Synthemesc’ places slow, crunchy beats over a drone to create a sombre kind of 22nd century cortège; ‘Vellocet’ is a more assertive continuation using small cycling pitch patterns as the basis for gentle development; and ‘Drencrom’ is another slow, crunchy processional, though with a little more spring in its step. In all three tracks, the beats make a habit of absenting themselves, and this has remained a feature of all Access to Arasaka’s work. The beat patterns don’t so much evolve as experience change following hiatuses like this, making the periods when they’re silent an integral part of the longer-term structure and direction of each track. This impressive first release was followed by no fewer than five in 2007. 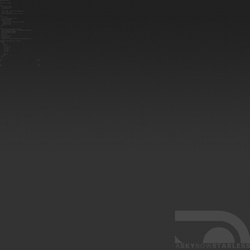 A Sky Now Starless shifts the emphasis towards the music’s ambient qualities, its four tracks doing away with beats entirely in favour of exploring varying quantities and qualities of pitch and noise over a series of deep drones. Considering how well these pieces work, it’s perhaps surprising there aren’t more Access to Arasaka tracks that eschew beats in this way; in hindsight, the strict avoidance of them in A Sky Now Starless comes across as something of an experiment, and as such they’re nicely effective. 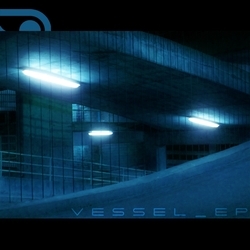 Although the beats return on the three tracks of Vessel, the ambient sensibility is again quite strong, emphasising an atmosphere of drift within which the beats sound almost suspended. Opening track ‘Nostromo’ (another Ridley Scott reference) can’t decide whether its heavy beats are vital to the track or not, whereas in ‘Sulaco’ and ‘Auriga’ they’re less equivocal but at the same time sufficiently halting that they disappear for significant periods. It’s this kind of interplay that makes Access to Arasaka’s music so stimulating: the emphasis and the perspective keeps shifting between events playing out practically under our nose and things (possibly bigger and more significant things) happening far off. 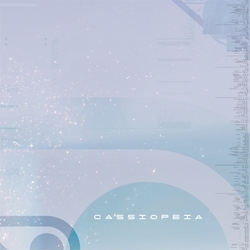 On Cassiopeia a balance is struck between an overt focus on beats that occupies the first couple of tracks ‘Segin’ and ‘Ksora’ and a more relaxed employment of them in the EP’s latter half. As such, central track ‘Navi’ – a beatless sequence of light, ambient spellbursts – can be heard as something of a catalyst. ‘Schedar’, which follows it, glitches its pulsing beats such that they become much less imposing, allowing a noodling piano idea to be its equal, and closing track ‘Caph’ is even more inert, in which halting twitching vestiges of beats sound over a pronounced cloud of ambient drift. 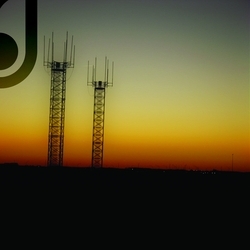 By contrast, :Port intensifies the beats again, to the point that the hitherto omnipresent drones become less prominent. It’s not clear things are going to go that way in opening track ‘zproc3.40mc03′, but in ’00xfroc4’ Lioy moves away from treating beats, bass and pitch as discrete elements, instead exploring them in an interesting kind of beatronic counterpoint where they sound more balanced. In ‘xt10.20zp9′ this becomes a lovely heavyweight cycle in which slow beats, a glitched piano loop and buzzing bass notes merge into a single texture. ’40bwi3_40’ puts energetic beats back into the foreground (with the same kind of ‘breathers’ as heard elsewhere) and closing track ‘5mc04’ brings back the drone, reverting to a more typical arrangement of mellow percussion over static chords and a plinking melody. 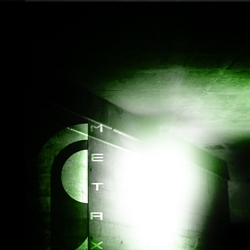 The first Access to Arasaka album, METAX, also came out in 2007, released by Danish netlabel Illphabetik. Its 16 tracks are essentially a summation of the same kind of thing heard on these preceding EPs, though with an expanded outlook, increased sense of maturity and, for the first time, collaborations with other artists. 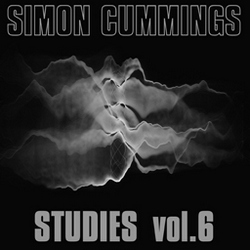 Standout tracks include ‘Tunnel’, which features exquisitely intricate beatwork; ‘Station’, where the beats become full-blooded poundings that somehow gel with light clouds of pitch behind; ‘Ocean’, where noise and tickling percussion are a prelude to a more conventionally electronica second half; and ‘Market Square’, a kind of ambient reverie where beats are of secondary importance to a kind of muffled contemplative state, complete with soft bursts of Japanese speech. Adding to the immersion, not only in METAX but in the EPs as well, is the way the drones from track to track audibly connect to each other. Typically shifting up or down by intervals of either a tone or a third, it creates an interesting kind of longer-term continuity, almost like an extremely slow-moving bassline. All the aforementioned ideas are explored further on three additional freely-released EPs put out a few years after. The five tracks of ==null (2010) show a more elegant side to Lioy’s music-making, particular third track ‘strtok(lp, ” \t\r\n”);’, where the way the elements blend together to create an elaborate spasmodic dance is hypnotic. ‘tumbler:=0’, which follows, makes for an interesting contrast with this, due to the way its irregular beats sound almost completely disconnected from and unrelated to a recurring melodic idea, as if here the elements were simply placed together with little attempt made to integrate them. Closing track ‘char *argv’ is another rare example of beats being ejected in favour of a floaty meditation of pitch elements reverberating within a kind of thick fluid suspension. There’s so much to admire and relish in Access to Arasaka’s music, and aside from these free releases – which, one hopes, might all one day be made available in pristine lossless editions – also well worth your time are Orbitus and Aleph, two EPs that were originally released together as free downloads by Tympanik in 2011, though the label has since started charging for them. If anything, they mark a more insistent return to the world of noir that typified Lioy’s earliest work. Aleph does it with a relatively light touch, extending the elegance of ==null further, particularly in the playful blips and glitches that end up replacing the beats in ‘an entire universe’ and the curious irregularity and deep bass tones underpinning ‘across a bridge’. ‘tonight’ does away with beats again, in favour of a drone-laden, synth-heavy melodic idea extremely redolent of Vangelis’ Blade Runner soundworld. 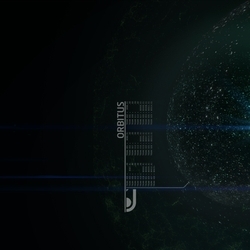 Though classed as an EP, at 38 minutes’ duration Orbitus is to all intents and purposes an album. As with METAX, there’s a greater sense of breadth and imagination displayed here. Opening track ‘Source’ is a good example of this; practically a continuation of ‘tonight’, it occupies a strange beatless musical space filled with quite sharp synth notes. Usually when beats are absent, Access to Arasaka’s music is contemplative and soft, but here that’s replaced with edginess and tension. And that’s largely how Orbitus plays out, veering between somewhat milder asides (‘Sicral’, ‘Helios’, ‘Relay’) and more intense episodes of dark intensity (‘Ellipse’, ‘Cynosure’, ‘Kyokko’). What’s most interesting, though, is the way Lioy now keeps the beats so restrained and subdued throughout; they no longer dominate the foreground the way they did in his earlier work, now integrated into the pitched elements such that each track is less overtly forceful yet more cohesive. 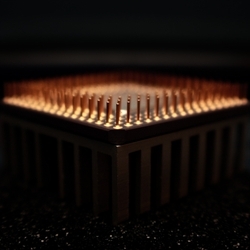 ‘Photons’, which brings Orbitus to an end, lives up to its name by inverting the idea of drones in order to fashion shafts of higher register light, glinting like fantastical lasers that, at the last, cause the music to fizzle to nothing. Beyond these, i’d also wholeheartedly recommend Oppidan, void(); and Geosynchron, the three Access to Arasaka albums from 2009, 2010 and 2011 respectively, all available from Tympanik. Anti-Spam Quiz: Access to what?